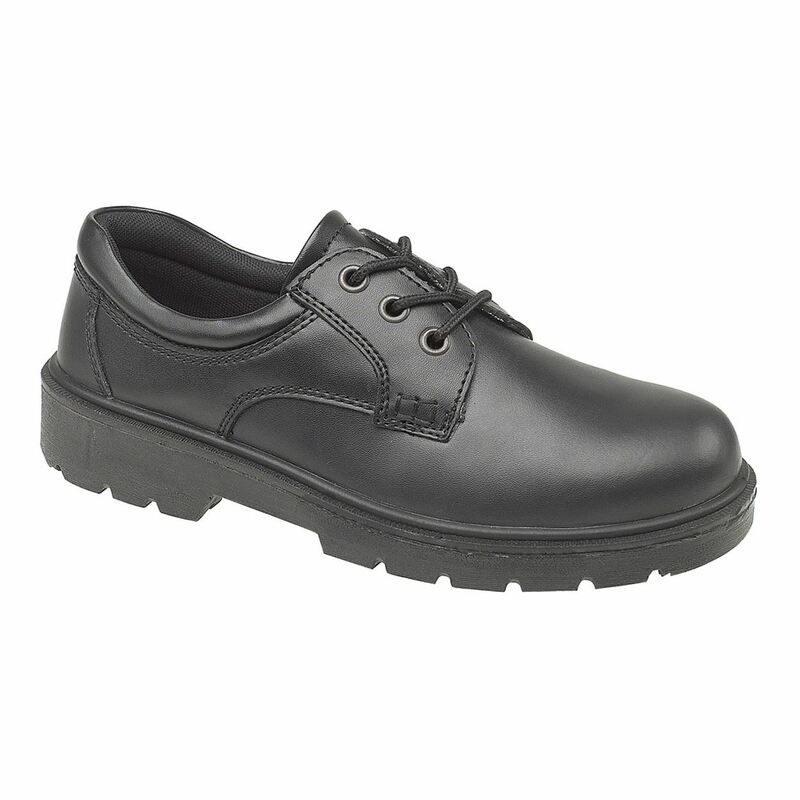 The FS41 is a 3 eyelet value shoe from our Amblers range of safety footwear. 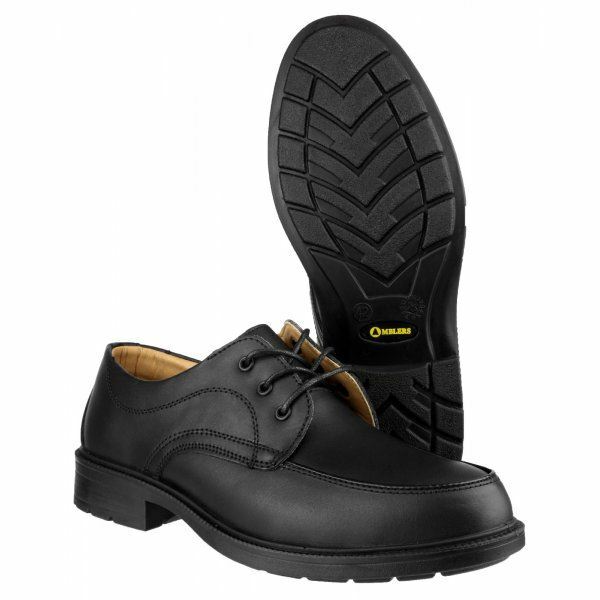 Steel toe cap industrial shoe with smooth leather upper and stitching accents. It is antistatic with steel midsole. It also has an energy absorbing heel and PU sole. Added comfort is provided with the padded collar and soft fabric lining. Perfect for uniform or worksite office use. 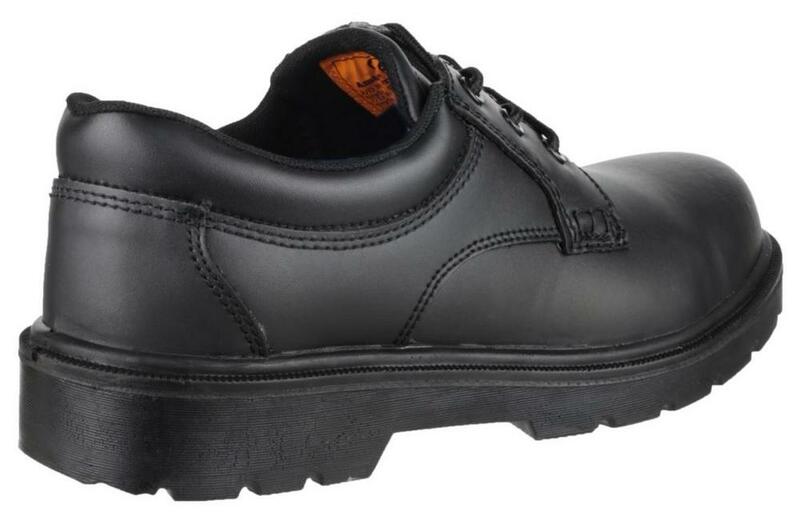 Steel toe capped safety shoes, ideal for industrial office use. Steel shank in the sole provides underfoot protection. Conforms to ISO20345 safety footwear standard S1-P. Penetration resistant midsole to 1100 newtons. Slip resistant footwear is certified to ensure better traction in slippery conditions. Looking for more? You can also view our Ladies Non Safety Footwear. Or you might be interested in our Chainsaw | Forestry Jackets Category.